The world has become a global village in more ways than one. Travelling to different countries in different continents has become easier. People are not opening up branches of their companies only in their prospective countries but in other jurisdictions as well. This is made possible by infrastructure like transport, (air travel playing a major role) and communication (think portals such as smartphones and the internet). Israel, also referred to as the Holy Land, has become an attraction for people who want to visit the many attractions and experience the different heritage the place offers. It is also a haven to those looking for business opportunities. Communication channels in particular help people decide on whether they will invest or not, or if they will come for a second visit or not. FroRide, a leading local communication provider in Israel, offers SIM cards to tourists before they get there. The team over here is dedicated to ensuring that foreign customers’ communication needs are met. communication to the US and Canada also include mobile calls. When roaming, the cell phone range is lower, and this leads to call drops during those important calls. Messages may also not get delivered on time. When using FroRide, this does not become an issue as the cell phone reception is clear. Local lines are very easy to get. Before travelling, one only needs to order for one, fill in their details online including the pickup date and collect the already activated SIM at the airport any time of day upon their arrival. FroRide also offer to deliver the SIM card to the clients’ hotel. An empty SIM card is also available; one can collect it at any time and activate it through the website. International cards are another story altogether, and landing one is hectic and time consuming. Local cards, especially the ones from FroRide, have 4G speed internet connections. If a customer wants to share the experiences they have had in Israel on social media in real time or even conduct a business conference call through Skype, FroRide’s high speed internet does not disappoint. It also connects to applications such as maps to help tourists get from point A to point B, search for travel guides within the country, or just simply look for a nice place to dine. One can still be connected with the rest of the world and be updated on the current happenings all the while. International SIM cards are quite expensive. It can also be hard to reload airtime unless one is on post-paid plans. This is not the case for most people. However, FroRide’s airtime is readily available in outlets across Israel. What perks come along with a local Israel SIM card from FroRide? 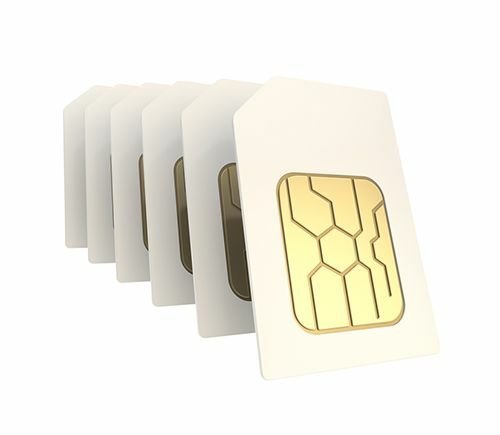 Other than the free 10GB data offered by the company for every month rented, the SIM cards are available in 3 sizes for the different types of mobile SIM card slots; Nano SIM slot, micro SIM slot and the regular SIM card slot. The SIM card can also be used on the next visit to Israel. A friend or family visiting Israel at a different time can also use the same SIM card. This is possible because once you are done with it, the card becomes empty and can be reactivated at the next visit. The loss of a gadget like a cell phone in a foreign land can become a headache especially when it comes to replacing it. This is why FroRide rents out cell phones. For a little extra charge, we will also deliver it to the hotel, and this still remains cheaper than purchasing a new one. Our SIM cards can also facilitate a Wi-Fi hotspot for enabled phones for up to six hours. If you are planning to visit Israel soon, whether for business or leisure, do not forget to get the local Israeli SIM card from FroRide and make communication to family, friends, colleagues and employers easier.